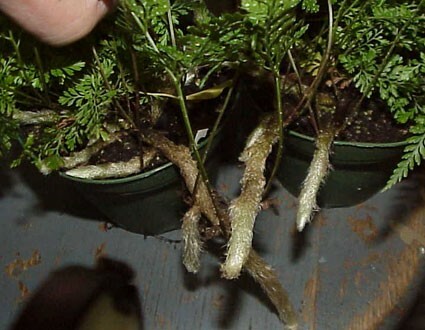 "White Rabbit Foot." 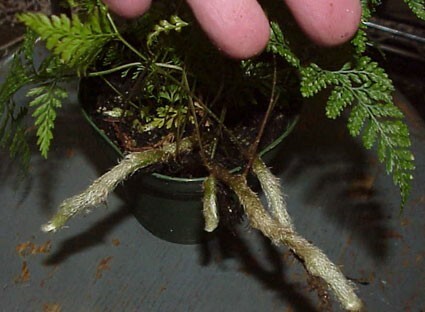 The arched, vigorous foot is covered with pure white hairs-- very furry. 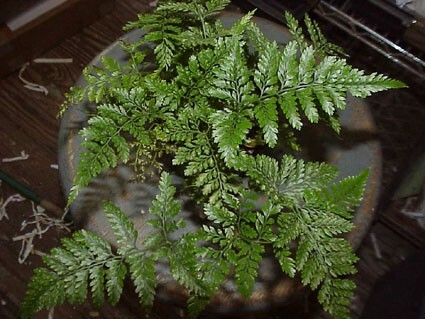 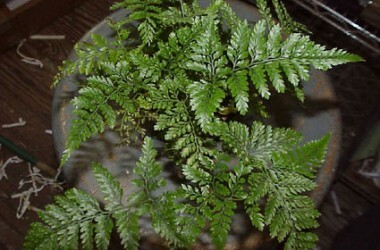 The fronds are lacy and deep, rich green. 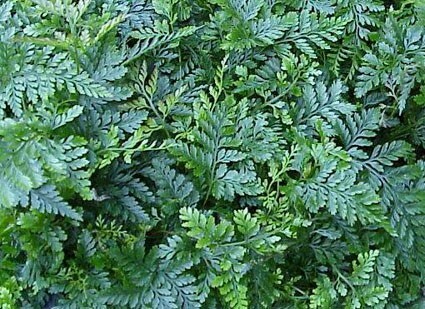 "Humata" is the true genus name, but we double referenced it because it looks so much like a Davallia and sometimes appears as such in the wholesale trade. 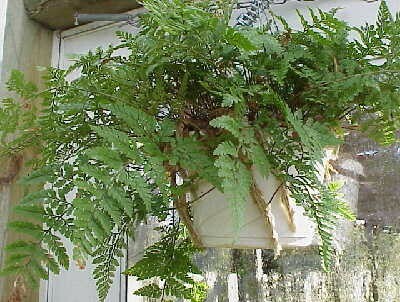 Excellent as a pot plant, outstanding in a hanging basket for a houseplant as survives less than ideal levels of humidity.